Ashley Wood - Redstone Agency Inc.
Ashley is an organized and creative individual, who joins the Redstone team with an eagerness to continue her career in a customer-focused, team setting. She has extensive experience in managing social media platforms for various clients, and her passion for growing brand awareness has led to many successful campaigns. She has an ability to artfully capture the attention of an audience and build creative concepts that resonate. Her knack for understanding client goals and delivering outcomes above their expectations has provided her with a unique skill set that truly translates into her work. Ashley’s background has allowed her to establish many professional relationships and optimize organizational strategies. Before working at Redstone, Ashley was the Community Manager for a digital marketing company, responsible for developing and sharing content for various brands. 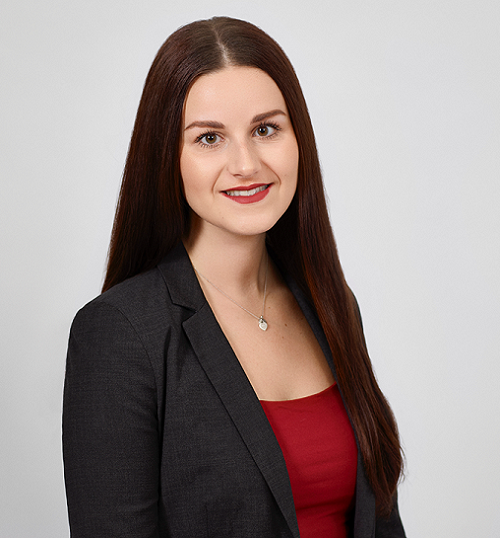 She graduated from Wilfrid Laurier University with an Honours Bachelor of Arts and a major in Communications with a specialization in Business Management.